Do you often wear the same suit for consecutive days? Well, it is a dire mistake you are making that ruins the suit health. Thus, it is time to follow the ways of wearing your suit, which gives it extended life. 1. 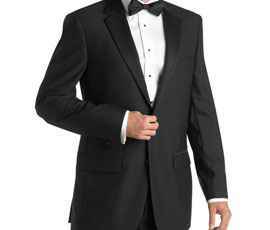 Make sure you wear the Custom Tailored Suits in Perth on a rotation basis. 2. Leave your suit for 24 hours before putting it again. This allows the fabrics to breath. 3. After using, always hang the suits. 4. Use rollers to brush off the dirt from the fabric. 5. It is not advisable to put too many items in the pocket of the jacket. It makes the coat lose its structure and thus it becomes saggy. There are multiple other ways that help you in keeping your bespoke suit perfect. Stay tuned to know about the other ways.